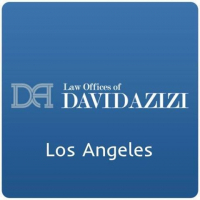 Since 1998, David Azizi and his team have served the Greater Los Angeles victims of negligence. We have handled auto and other vehicle-related accidents, slip and fall accidents, brain and other bodily injuries, workplace accidents, wrongful deaths, and even animal attacks. If you're in SoCal and looking for a car and truck accident attorney, feel free to contact us via the phone at 800-991-5292 or via live chat on our website at www.azizilawfirm.com.